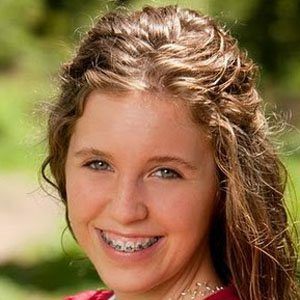 Best known for starring on the TLC reality series 19 Kids and Counting from 2008 to 2015, she later went on to star on the spin-off series Jill And Jessa: Counting On. In the season premier of the show, she traveled with her family to New York City to be featured on The Today Show. She celebrated both her 19th and 21st birthday on the show. She was the fourth born in the Duggar family. She married Derick Dillard on June 21, 2014; they have sons named Israel and Samuel. Her father is Jim Bob Duggar and her mother is Michelle Duggar.